Temi Tea Garden Sikkim : in Ravangla, established in 1969 by the Government of Sikkim, is located in South Sikkim in the northeastern Indian state of Sikkim. It is the only tea garden in Sikkim and considered one of the best in India and in the world. Top quality tea is produced, which is in demand in the international market. The garden is laid over a gradually sloping hill. The tea produced in this garden is also partly marketed under the trade name "Temi Tea". The guidelines issued by the Institute of Marketology (IMO) of Switzerland to produce organic tea have been adopted in the Temi Tea Garden; a project initiated in April 2005 and nearing completion. In growing organic tea, agro-chemicals are avoided by the tea estates that results in low production costs. Many European countries and Japan have shown preference for tea produced by adopting organic manuring method. 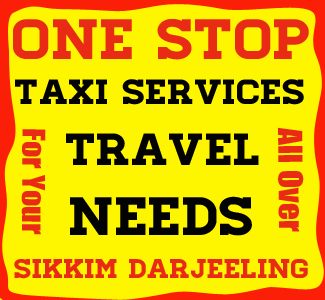 Tourists can reach Temi Tea Garden easily from NJP Rail Station or Bagdogra Airport or Siliguri Town or Darjeeling or Gangtok. NJP to Temi Tea Garden : 121 kms. Bagdogra to Temi Tea Garden : 124 kms. Darjeeling to Temi Tea Garden : 98 kms. Due to its advantageous location, many hotels and lodges have come up in and around Temi Tea Garden catering to varied tastes and budgets. Indian : Indian tourists visiting Temi Tea Garden do not require permit to visit. Best time to visit Temi Tea Garden is during the 12 months in the year. Most of the roads remains closed during the month of July, August due to heavy rainfall and landslides.